In her second post of the week, Sue Corbett shares some of the ways that INASP is bringing people together to share ideas and support research systems development. The first part of this blog presented our thinking about what is needed beyond skills training for research “systems” to be really effective and gave some examples of new work that we are doing to encourage collective problem-solving at a national level. Today, I focus on what INASP is doing to bring together people from across a wide range of countries to reinforce learning, share ideas and generate more change. INASP works with groups of editors to help make their research visible through the Journals Online project, which creates national publishing platforms for local journals. Sustaining these requires more than just skills in editing journals. A workshop in Vancouver in August gave local platform managers from five countries the opportunity to learn from each other about finance and fundraising, communications, staffing and training. Financial sustainability is always a challenge in cash-strapped local environments so it was significant for platform managers to realise that there are more funding options open to them than they previously knew and that improving their funding application skills is well within their reach. Traditional teaching and learning methods are being challenged in many countries by the huge expansion of higher education and the need for faculty and other professionals to demonstrate relevant, usable skills. One key community for INASP are groups of librarians who provide information skills training to researchers and students in universities across the region. We recently brought together library trainers from Ghana and Uganda to adopt a more active and collaborative approach to learning and training, trying out different learning experiences and building a network whose members will continue to share ideas and support each other as they try out new skills in their home environments. In each country there is now a group of skilled trainers who can serve as a hub for local information and pedagogical skills training – growing their own skills, and helping colleagues to develop theirs. Most recently, four of the library trainers were invited to design and facilitate a series of learning and training skills sessions, as part of a regional workshop run by INASP on negotiation and licensing skills. The workshop included 16 representatives from library consortia in Kenya, Uganda, Ghana and Zimbabwe and feedback was very positive. All participants reporting that they felt confident in both planning and delivering training sessions in licensing and negotiation skills. They also all said that they were either very or completely confident in using collaborative and active learning approaches in their training. This was an excellent opportunity for the four library trainers to consolidate their own learning developed through the network of trainers initiative, to share their experiences of the workshop and pose questions to their fellow library trainers via an online community of practice and to further embed self and peer assessment within the wider network’s practice. Most research institutions face similar challenges but it is often hard for them to tap into the experience of others who have found solutions. One key area is writing skills, to get important research published and visible. Research directors from Tanzania, Sri Lanka, Ghana and Vietnam met last month in Colombo to learn about each other’s projects to embed research-writing training into their institutions. The ideas from the University of Colombo about mentoring and research-writing clubs were quickly adopted by others. 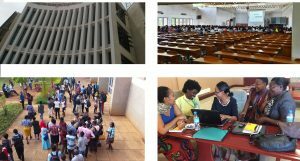 Everyone was also inspired by the funding obtained for three new cross-disciplinary research grants that arose from the multi-faculty training run in the University of Dodoma. 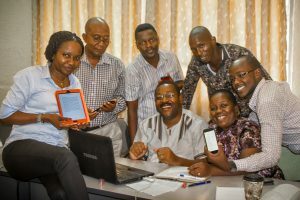 Led by the Open University in Tanzania, there was a strong shared interest in setting up online training on their own institutional Moodle platforms, especially given the experience of many of the project leaders as facilitators on the AuthorAID online course (below). AuthorAID is INASP’s biggest community of all with more than 11,000 online members from 172 countries and growing by over 1000 a year. It helps researchers understand the norms of the global scientific community and get support on how to disseminate their work. At the initiative of the members themselves, we have seen the discussion forum develop from a place where a few regulars debated issues of publishing protocol to one where researchers ask and offer answers to anything that is affecting them from how to cover living costs for overseas scholarships to where to get affordable laboratory equipment. The AuthorAID online courses in research writing have grown exponentially and the most recent had over 1,000 participants from 66 countries. This included some of those countries that are hardest to reach with face-to-face training such as Somalia, Sudan and Liberia. The 20 course facilitators were recruited from both north and south. The online discussion went well beyond peer feedback on each other’s assignments; we set up a research networking forum and this was used by participants who wanted to collaborate on topics including data management, intellectual property, oil pollution, plant breeding, disaster management and many more. In recent years, access to books and journals in developing countries has improved markedly – many thousands of journals are now available to researchers and students. But publishers from Europe and the US are looking to move beyond philanthropy to more commercial sales to the developing world – and there is a real danger that the gains in access could be reversed as a result. 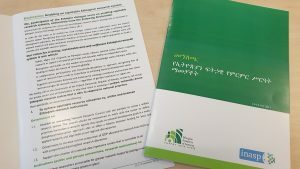 The Publishers for Development forum this year saw a vigorous discussion between developing-country librarians and northern publishers on INASP’s Principles for Responsible Engagement – which emphasize long-term relationships, affordable pricing, and careful attention to local context. Both sides have committed to a continuing dialogue so that publishers and library consortia can get better at doing deals. Some publishers have responded with helpful changes in policy. Library consortia are improving administrative processes and communications, so that more efficient transactions can help keep prices affordable. As higher education expands across the world, universities need to get good value from limited resources. Our negotiation skills community of practice brings together library consortia from 18 countries to tackle common problems. Using the most skilled negotiator to speak on behalf of several countries, they were able to secure a better price for a key journal collection, which individually they had been struggling to purchase. The key to this was the commitment to a collective approach. In many of these initiatives, whether within countries or across borders, quite new conversations are happening between people who might never otherwise have spoken. Establishing the initial relationships and trust in groups usually (although not always) starts with a physical event. But more often than not, that is followed by an online community of practice to continue the discussion. Together, they are catalysing innovation, solutions and creating a playing field that might still not be quite level but is their own. There is much more to say on almost everything mentioned above – particularly on what works and what doesn’t in this kind of convening and brokering. If your appetite is whetted, then look out for the ‘Stories @ INASP’ (our new-style case studies) that will be published over the next couple of years. Also, take a look back at the three-part blog that we published in 2014 (parts 1, 2 and 3) on our approach to complexity and systems thinking.